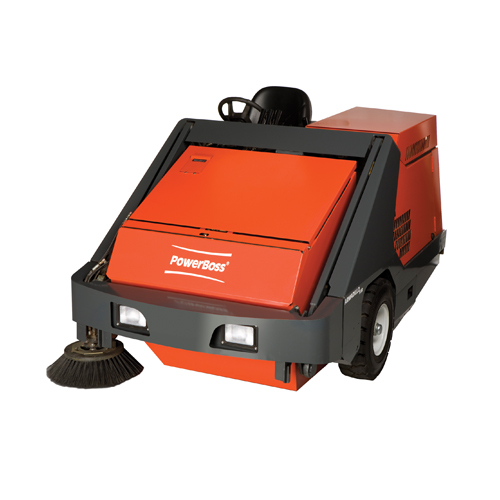 The Powerboss 9XR is a quality, cost effective sweeper that offers years of consistently reliable service. A 22 cubic foot hopper means you will spend less time going to unload. A second side broom is an optional extra increasing the coverage from 64″ to 78″. Large tyres and wheels means the ride is smoother to reduce operator fatigue. The 9XR is made of steel for strength.